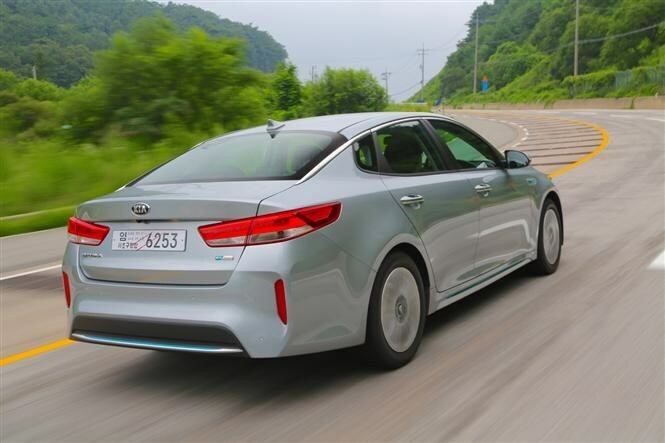 This sleek-looking saloon is a first for Kia – the Optima plug-in hybrid breaks new ground for the manufacturer by combining petrol power and batteries that can be topped up separately. 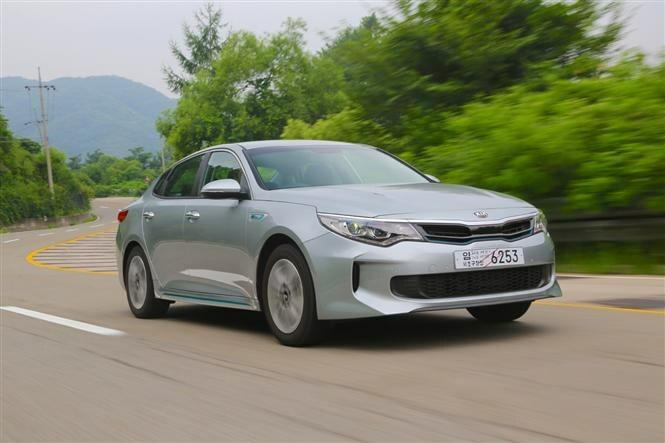 The tech isn’t new though, so the Korean car faces stiff competition from more established plug-in versions of the BMW 3 Series and Mercedes-Benz C-Class, as well as conventional hybrid models like the Lexus IS. Until now, the Kia Optima has been available only with a 1.7-litre diesel engine. This new version combines a 2.0-litre petrol engine with a 50kW electric motor for a combined output of 202hp. Unlike other hybrid models like the Mitsubishi Outlander PHEV and the Toyota Prius, the Kia uses a quick-shifting dual-clutch six-speed automatic gearbox, instead of the CVT present in its rivals. This means that when you press the accelerator the power and noise rise steadily, rather than the spike in revs and gradual increase in speed you get with a CVT. While bold claims of 176.6mpg and an all-electric range of 33 miles may only be replicable in association with an extremely light right foot, the low CO2 emissions at least mean equally low VED or benefit-in-kind tax (BIK). 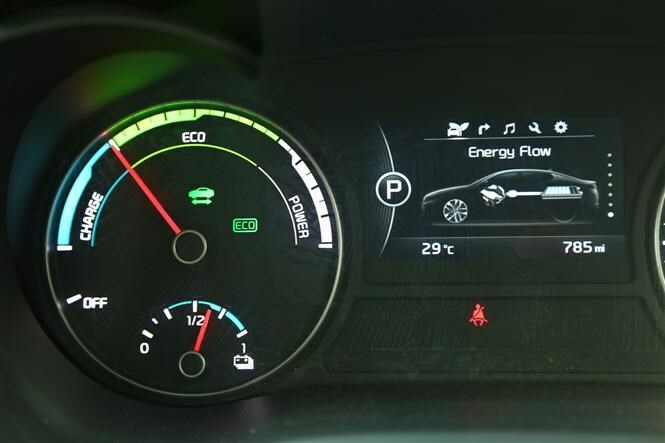 In fact, the 37g/km this car produces means a company car driver paying 20 percent tax in 2016/17 will have to find roughly £40 a month in BIK bills for a Kia Optima plug-in hybrid. Private motorists, however, will have to find £31,495, and that’s after the Government's £2,500 plug-in car grant has been subtracted. 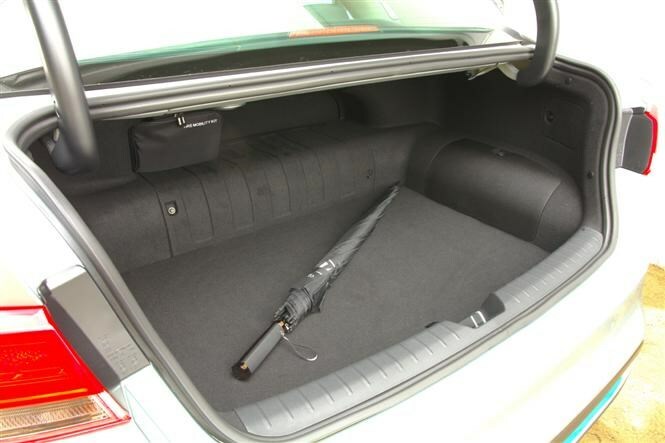 As you can see, there is little you’ll need to add in the way of optional upgrades, which will help keep those monthly bills down whether you’re a fleet driver of private motorist. 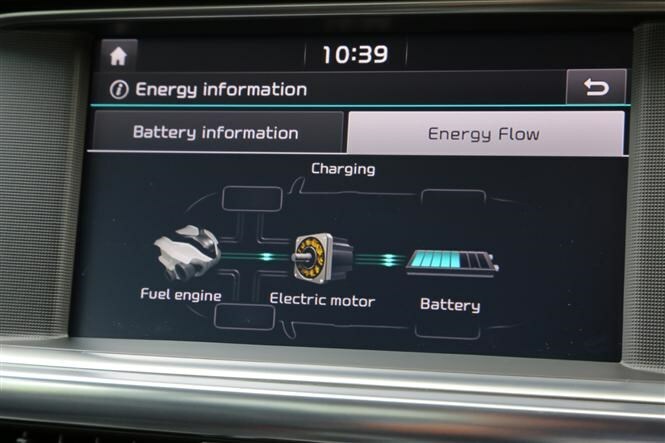 Low running costs will attract company car drivers but make sure you do your research to be certain this type of vehicle will fit into your lifestyle, ensuring the electric range is sufficient, and that you have access to charging points to make the most of the hybrid powertrain. The Optima plug-in is also not a thrill-fest to drive - 0-62mph takes 9.1 seconds and while the handling feels safe and secure, it’s not particularly entertaining. You do benefit from a smart-looking and solidly built cabin, but similarly priced German rivals feel more special.